The Union Chapel is an award-winning and spectacular performance venue in Islington, Central London. The Chapel is octagonal in shape with ground floor and balcony seating and all the seating is in the original wooden pews which can seat 900 people. A fantastic venue to start of the World Shakuhachi Festival in London! Tickets for the Gala Opening Concert can be purchased directly at the Union Chapel website, please go to store.unionchapel.org.uk/events to book your ticket. You can also buy a ticket at the door on the day of the concert, subject to availability. If you also plan to attend the WSF2018 days at Goldsmiths, please note that the Early Bird, ESS Member, Standard or Concession 4-Day WSF2018 Festival Pass includes the entrance fee to the Gala Opening Concert. See also information about the Passes below. Below are the different types of passes available for WSF2018 in London. Have a look and see what suits you best – we believe we have something for everyone. 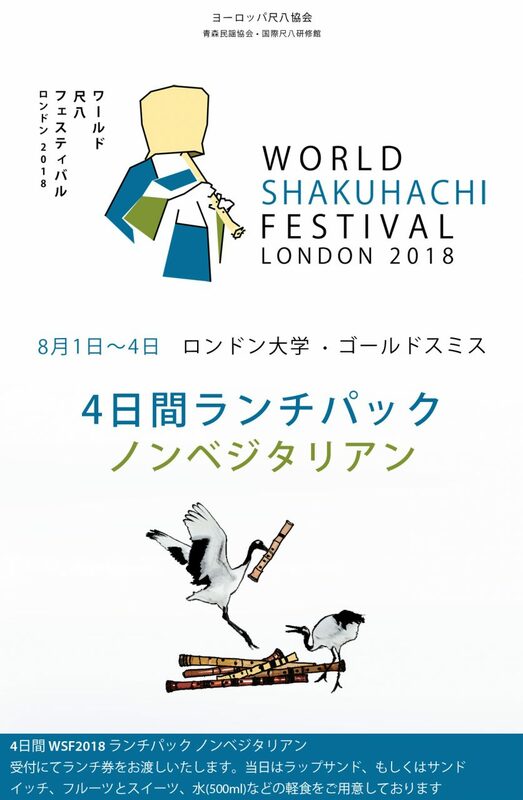 Whether you are new to the shakuhachi or an advanced professional, there is no excuse to miss WSF2018 in London. 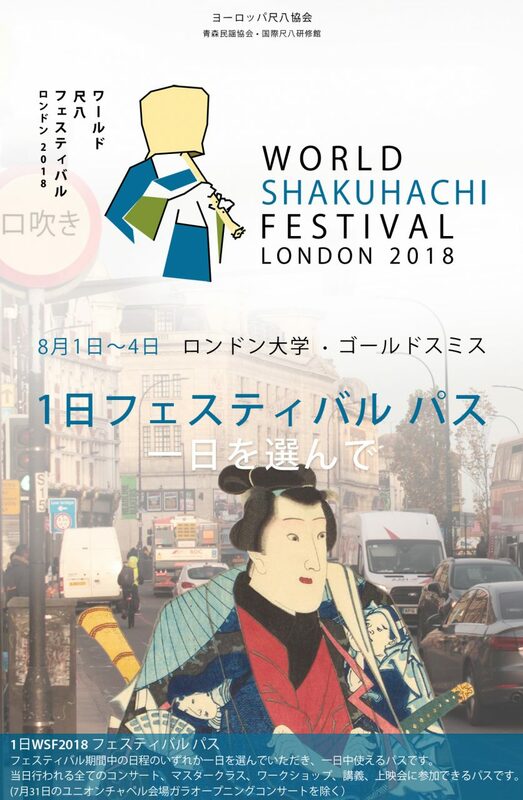 And a WSF is a great time to discover the shakuhachi, so even if you have never heard about the shakuhachi before you may want to try our Discover Shakuhachi Pass, which gives you access to all the concerts and lectures at Goldsmiths during the Festival days! Click on the Festival Pass images below to show more details about each Pass. For each of the daytime and evening concerts taking place at Goldsmiths between the 1st and 4th August, tickets will be available for purchase at the entrance to the relevant venue at Goldsmiths prior to the concerts. The sales desk for individual tickets will open 30 minutes before the scheduled starting time of the particular concert. Tickets will be subject to availability. 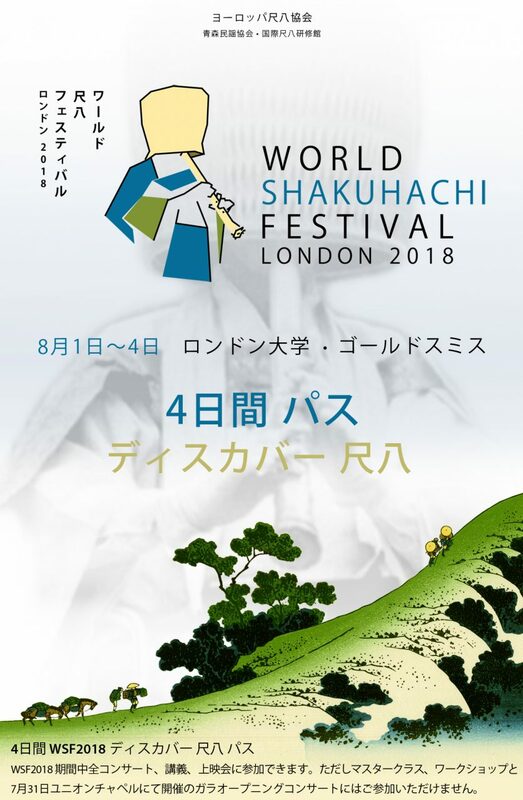 If you are planning to see several concerts, you may want to consider our Discover Shakuhachi Pass, which gives you access to all the concerts and lectures at Goldsmiths during the Festival days! Once you have chosen your Pass(es) and added them to the cart, please fill out the Registration and Billing information on the Check Out page. You may pay by credit card, through PayPal or by direct bank account transfer. 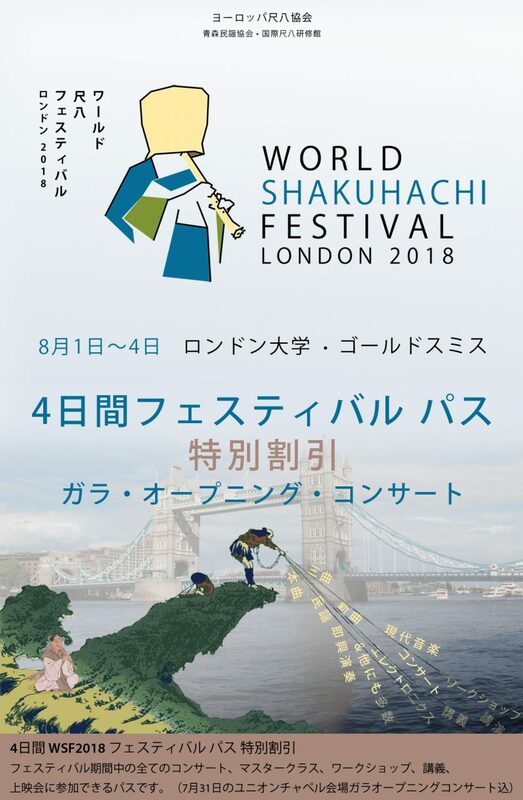 Please note that the payee shown will be the European Shakuhachi Society – the main organiser and a UK registered charity. After your payment has been received and processed you will be sent an ‘Order Completed’ email of your booking. You must bring this to the WSF registration desk at Goldsmiths to exchange for your Festival Pass badge. Please also see the ‘Registration Process at Venue’ section below for more details. Please bring a print out of your ‘Order Completed’ email with you to the registration desk at Goldsmiths University of London on the first day of the festival. At the WSF18 registration you will then be provided with your individual festival badge, your welcome pack and, if you purchased a 4-Day WSF Lunch Pack, with your lunch tokens. If you have an ESS Member Festival Pass, please bring proof with you, i.e. your current ESS membership pass or number. If you have a Concession Festival Pass, please provide proof of your eligibility for the concessionary rate at the registration. We would advise you to take the opportunity to use our pre-festival registration to reduce the registration time on the 1st day of the festival. If you miss or cannot be at any of the above registration times, please contact us at tickets@wsf2018.com. 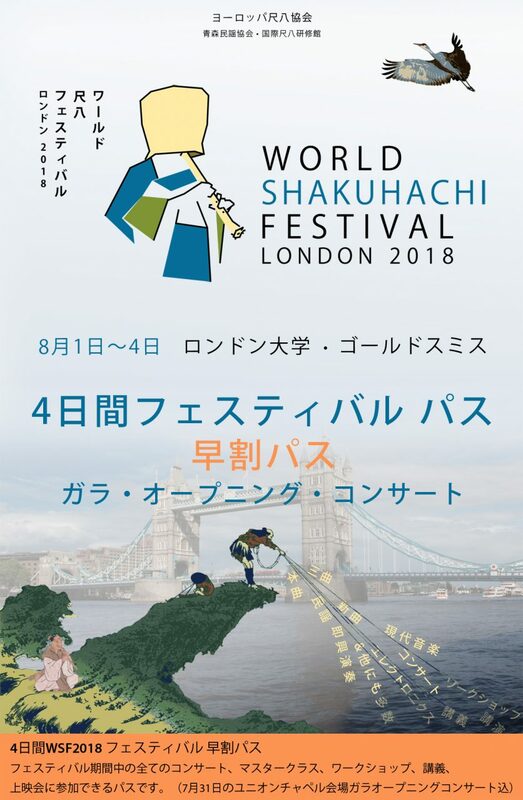 Please bring a printout of your ‘Completed Order’ email with you to the registration staff in RHB 150 (WSF2018 SHOP) at Goldsmith University of London you will then be provided with your Discover Shakuhachi festival badge. If the first event you visit is an evening concert, you will be able to collect your badge at the entrance to the Great Hall. Please bring a printout of your ‘Order Completed’ email with you to the registration desk at Goldsmiths University of London on the day of the festival, which you want to use your 1-day pass. At the WSF2018 registration you will then be provided with your individual festival badge and your welcome pack. To be exchanged for lunch tokens at the festival registration. Each token is valid for a specific day and can be exchanged only in the designated WSF lunch area. Please bring a printout of your ‘Order Completed’ email to the registration desk at SOAS University of London on the day of the symposium. You will then be provided with your individual symposium badge. Outside of the Wolfson Lecture Theatre (S108), Paul Webley Wing, Senate House, SOAS. 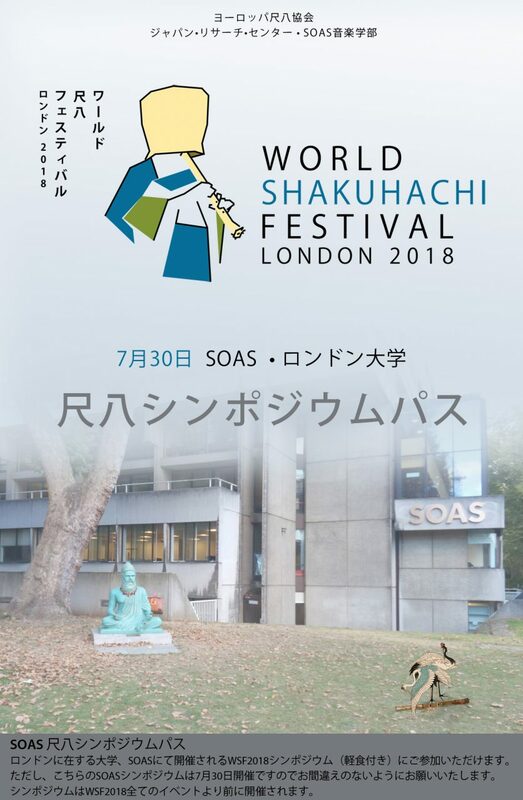 WSF2018 Festival participants can also take the opportunity to register at SOAS for the WSF at Goldsmiths. Please note there is a 10% administration fee (of the original price) on all cancellations. Please contact us at tickets@wsf2018.com if you want to cancel your WSF2018 order.